California has received worldwide attention for the state’s ambitious efforts to address climate change. California’s 482 cities and 58 counties are proud of what they have accomplished to help reduce greenhouse gas (GHG) emissions and are poised to do more in the years ahead. Despite limited resources, cities and counties across the state have found cost efficient, innovative solutions that reflect the unique characteristics of their communities. 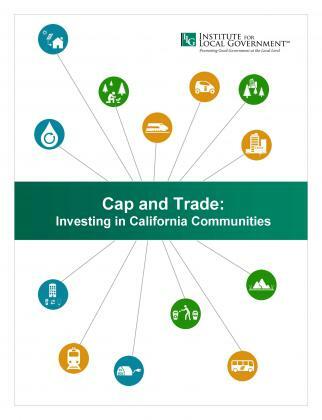 The Institute’s Climate Action programs, services and resources help local leaders understand, apply and track the results of these innovative practices, demonstrating how California communities are setting an example for the state, nation and the world. The financing sustainability resource center includes resources to help local agencies finance and support sustainability activities, including links to utility and state agency programs, white papers and tip sheets. This section features resources and examples to help your community integrate climate change considerations into planning and plan for climate change impacts. Related information is available from the Institute’s Sustainability Best Practices Framework.